Heat oven to 375°F. Line two 15x10x1-inch pans with cooking parchment paper; spray with cooking spray. In large bowl, mix sausage, bell pepper and cheese until well blended. 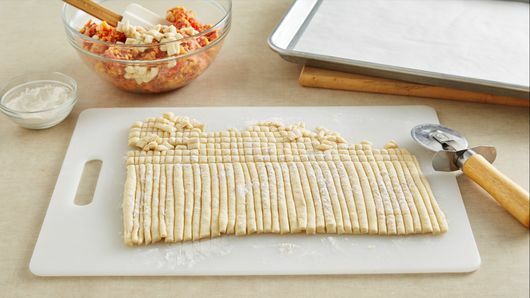 Unroll dough on work surface. If using crescent roll dough, firmly press perforations to seal. Sprinkle each side with 1 1/2 teaspoons flour. With pizza cutter or sharp knife, cut into about 1/4-inch pieces. Mix dough pieces into sausage mixture in small amounts until well blended. 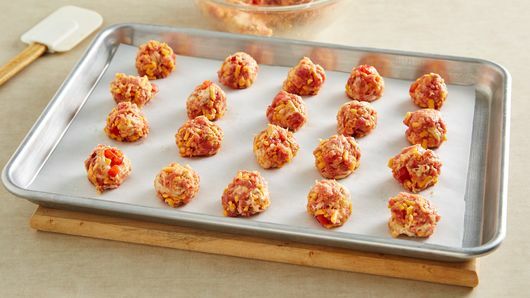 Shape sausage mixture into 60 (1 1/4-inch) balls. Place in pan. Bake 16 to 18 minutes or until golden brown. 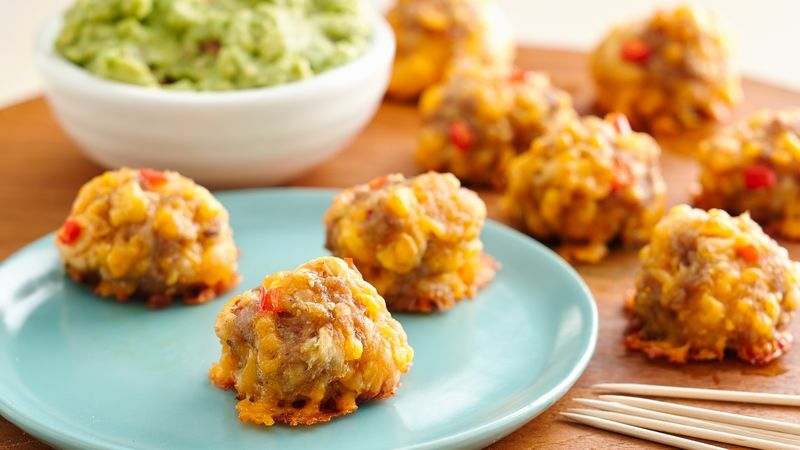 Serve with guacamole, sour cream or favorite salsa. 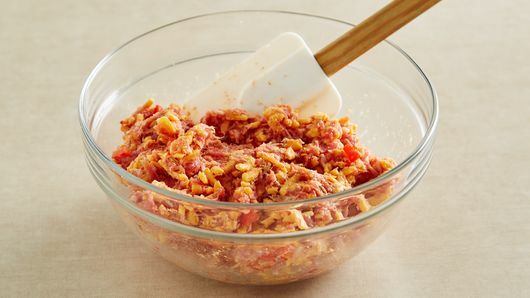 Shape sausage mixture quicker with an ice cream scoop.